The United States Women's National Team was on the receiving end of a loss Saturday. After finishing the 2018 season unbeaten, a friendly against France in Le Havre ended the team's streak. France, who will be hosting the World Cup this year, took an early lead just nine minutes into the match and carried its advantage to an eventual 3-1 victory. This is France's ninth consecutive win. Kadidiatou Diani scored the first goal, and scored her second of the night 10 minutes into the second half. 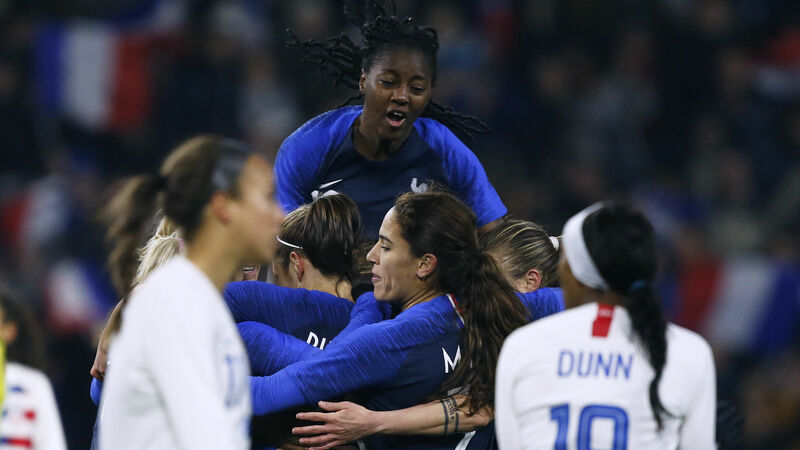 Marie-Antoinette Katoto pushed France's lead to 3-0 before Mallory Pugh, who plays for the Washington Spirit of the NWSL​, scored for the U.S. side. The USWNT faced France just once last year and ended that meeting in a 1-1 draw. France has earned three wins and two total draws against the U.S. over its last 10 games played. The loss snapped a 28-match unbeaten run for the USWNT.